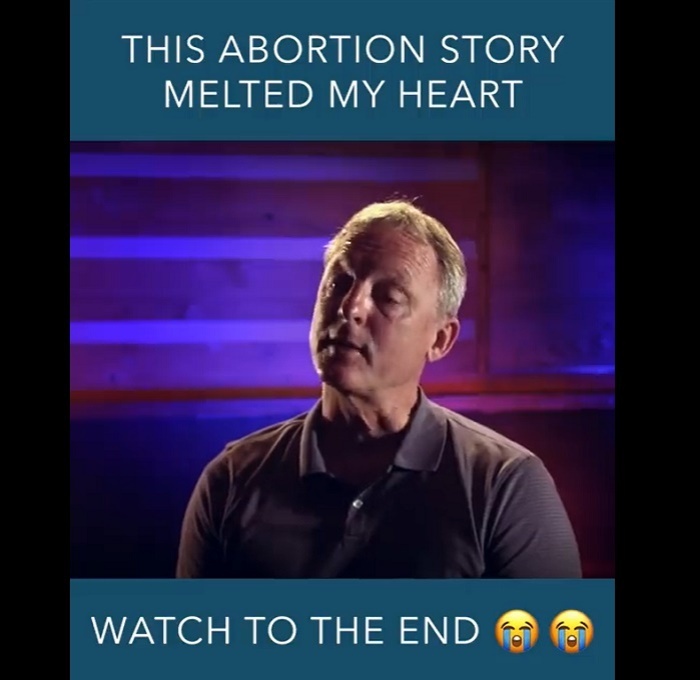 A social media campaign from a pro-life organization is highlighting the stories and confessions of several men this week who encouraged their partners to have an abortion, which they say has led to decades of guilt. Victoria Robinson, director of External Relations at Save the Storks, explained in a statement Tuesday that the #ChooseFatherhood campaign will be releasing one video on social media a day leading up to Father's Day on June 17. One video released on Facebook on Tuesday estimates that there are 55 million "forgotten men" in America who "bear the scars of abortion and suffer in silence." The five-minute clip features four men, who aren't named, sharing various thoughts and feelings, with some breaking down in tears. "I'm the father of five, but only got to raise three of them," says one man. "The first two didn't do anything wrong ... I didn't want to raise them. They didn't have a chance because they were both aborted." Another explains that when he and his partner made a decision to abort their child, they were "too young, and there were other things we wanted to do." He recalls watching the abortion procedure, saying, "I remember the whir of the motor and seeing these tubes that were being filled with red and white and the sound of suction." A third man says when he found out his girlfriend was pregnant, "I was strongly encouraging her not to keep the baby ... I was adamant about it." After the abortion, he says "the weight of guilt was just so overwhelming for me." A fourth man describes how "depression set in" for both him and his girlfriend. "It didn't just mess me up, it messed her up as well, mentally, emotionally. We both started drinking heavily which we didnt' do much of at all. We both started using drugs which we never did at all." After the abortions, the father of three says in the evenings he would begin to cry, thinking about what was lost. "And even though it's been decades since the first two were lost, obviously there's still an emotional place that comes up," he says, tearing up. Calling the abortion "too easy" and "too quick," one of the men says he wishes someone was out there in front of Planned Parenthood "willing to just offer information and alternatives. I wish there had been opportunities to learn about other choices." The men encourage others who are suffering guilt due to abortions to share their stories and talk to someone who will understand. Robinson stated, "Over many years, I've shared my personal abortion story all over the country. Nearly every time I speak, men privately come up to me afterward and share their deep anguish, grief, and sense of loss. They tell me 'don't forget about us, don't forget about the men.' Post-abortive fathers have for too long suffered in silence, and their stories need to be part of the national conversation. "Today, as four men boldly step out and share their stories publicly for the first time, we want all post-abortive fathers to know they're not alone, they're not forgotten, and they don't have to be silent anymore. "We're asking men to do two things, watch these videos, and then publicly share their stories in social media this Father's Day, so that others will not repeat their mistakes, and their painful losses will not be in vain." Gallup released the results of a national poll on Monday, revealing that Americans remain sharply divided over the issue of abortion. An even 48 percent of respondents said that they identify as pro-life, and the others as pro-choice. As for when abortion should be allowed, 50 percent said that the practice should only be permitted under certain circumstances; 29 percent said it should always be legal, and 18 percent insisted it should always be illegal.